In 2014, the state of the art Golf Performance Studio at the club was re-developed to allow amateur golfers to take their game to a professional level. 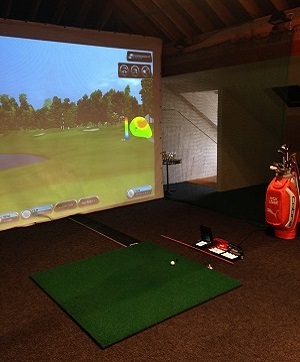 This unique fitting facility, equiped with Foresight Sports' GC2 launch monitor, has been dubbed by industry professionals as 'The best Club Fitting Facility in the North West'. You will receive the most comprehensive service possible, including custom fittings with expert advice from PGA Professionals and their "try before you buy" facility. You can be fitted to clubs from Cobra, Cleveland, Lynx and Titleist. We have recently invested heavily in some serious world leading technology which makes improving at this game so much more fun and measurable. 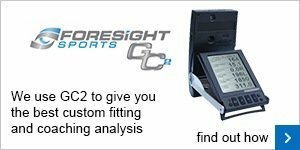 We have the fantastic GC2 from Foresight Sports, a system used by the world's best players to fine tune their game and by leading manufacturers for research and development of their products. Sky Sports also use the GC2 in their famous Shot Centre. Know your ball flight with instant feedback enabling you to follow your ball with shot vapour and know its flight and ending destination exactly. A giant hitting area powered by a 720 pixel projector that provides stunning pictures. 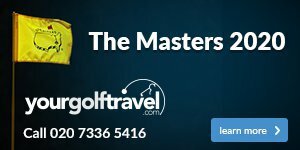 Play 14 of the world's finest courses including The Belfry, Royal Birkdale and Congressional to name but a few. You can play in a 1, 2, 3 or fourball in whatever format you like - strokeplay, stableford, matchplay, foursomes or skins. You can also set yourself competitions with Nearest the Pin and Longest Drive. At the heart of the GC2 is a stereoscopic camera system that precisely captures and analyses ball characteristics at the most critical point of measurement - Club Impact. This delivers the most accurate value of ball performance available today! Hit shots on a perfect driving range to assess each club allowing you to know how far your ball travels with your set. Gapping sessions will see where any yardages are not covered by your current club set-up. To find out more or book your lesson in the Golf Performance Centre, please Click Here.